April's Hakki Pilke user of the month is Stig Arne Nydahl from Norway. Stig has the 43 Pro with an optionally available large outfeed conveyor with hydraulic horizontal and vertical adjustment. He also has a sawdust blower and a 472 log table to make the process more efficient. 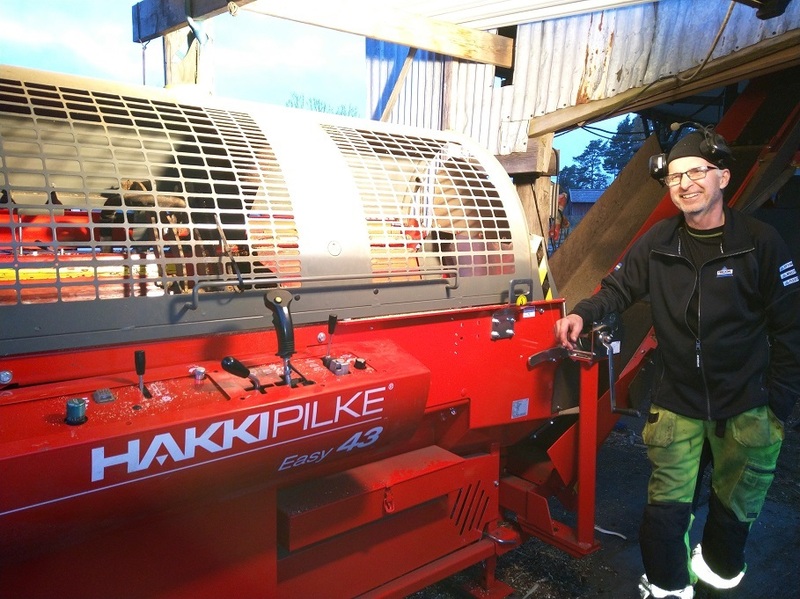 Previously, Stig owned a Hakki Pilke Easy 38 firewood processor with which he made about 300 loose cubic metres per year. With the new powerful 43 Pro, he can increase his annual production volume enormously. He uses the combi model 43 Pro machine with a diesel aggregate. The HakkiFeed 472 log table from the year 2006 was purchased as a secondhand and still works great. Hakki Pilke is known for its resale value that is guaranteed by the durability of the machines. 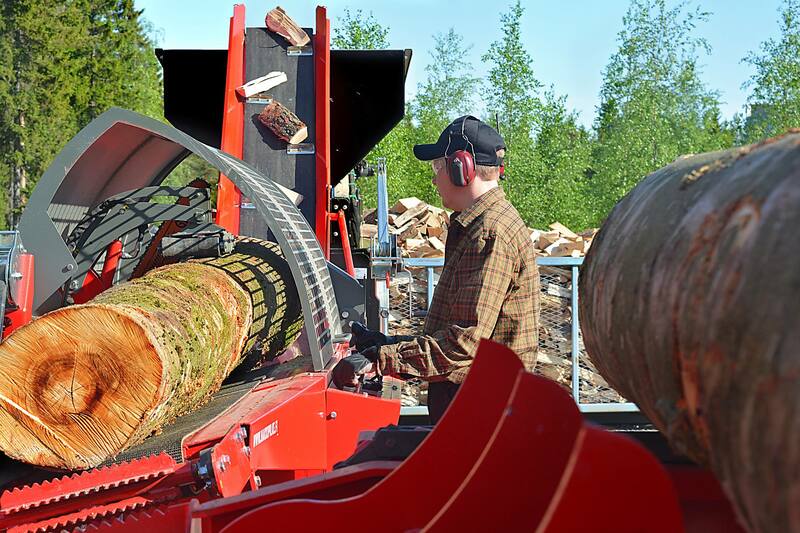 By selecting a Hakki Pilke firewood processor, you will make a profitable investment that retains its value. Congratulations Stig for winning a Hakki Pilke product package, and thanks for the precious feedback! Do you want be the next Hakki Pilke User of the Month? Send us a private message in Facebook or Instagram including a picture of yourself together with your Hakki Pilke and write a few lines about your user experience with Hakki Pilke or your business. You can win the Hakki Pilke product package! March's Hakki Pilke user of the month is Jacques Bourgoin from St-Ignace de Stanbridge Quebec, Canada. He is standing beside the pile of firewood they produced in the first 5 hours that they owned the machine. Jacques and his father-in law, who`s in his 80`s, operate a steel CNC shop and immediately recognized the quality craftsmanship and design of the Hakki Pilke compared to the competitors. Jacques has also been really happy with how fast the machine is. They started to think about getting a log table, so that the rest of the process would keep up with the firewood processor’s high-speed. First they considered making their own feed table but ended up purchasing the HakkiFeed 422. 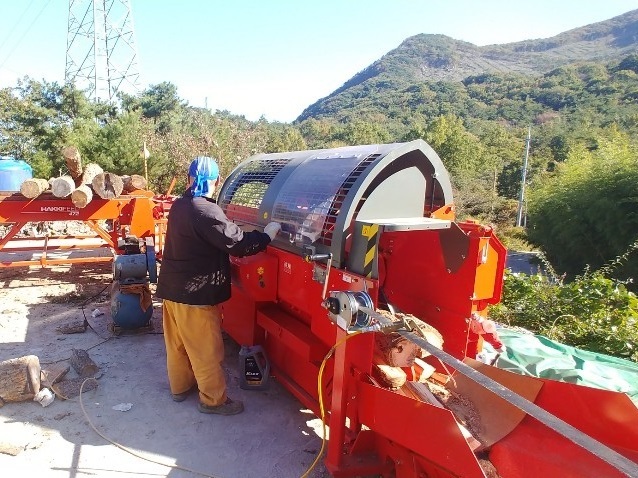 Jacques mentions that it is absolutely indispensable to keeping up with the speed this unit processes crooked and twisted logs into firewood. 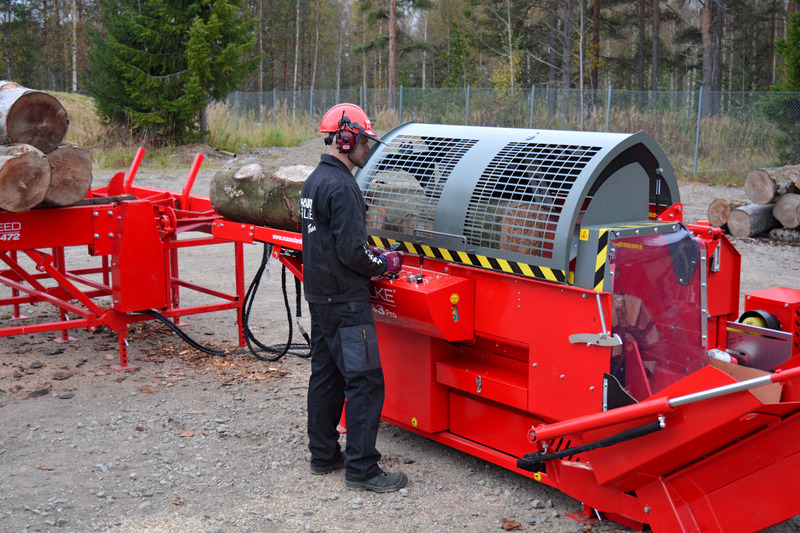 The HakkiFeed 422 log deck makes feeding logs to firewood processor an effortless process. 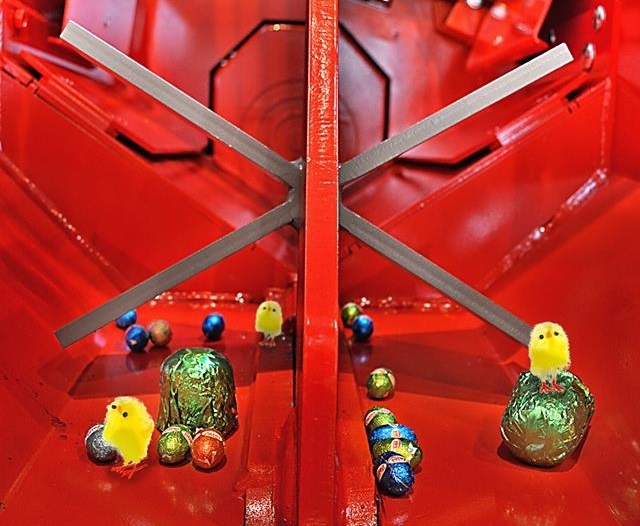 The infeed rollers spin simultaneously with the firewood processor’s infeed conveyor belt and the log dispensers infeed only one log at a time. Congratulations to Jacques on winning Hakki Pilke product package! We wish you success in your operations and hope you continue to be a part of Hakki Pilke Team for years to come! Year’s first winner of the user of the month is company Åsfeldts Skogsentreprenad from Sweden. 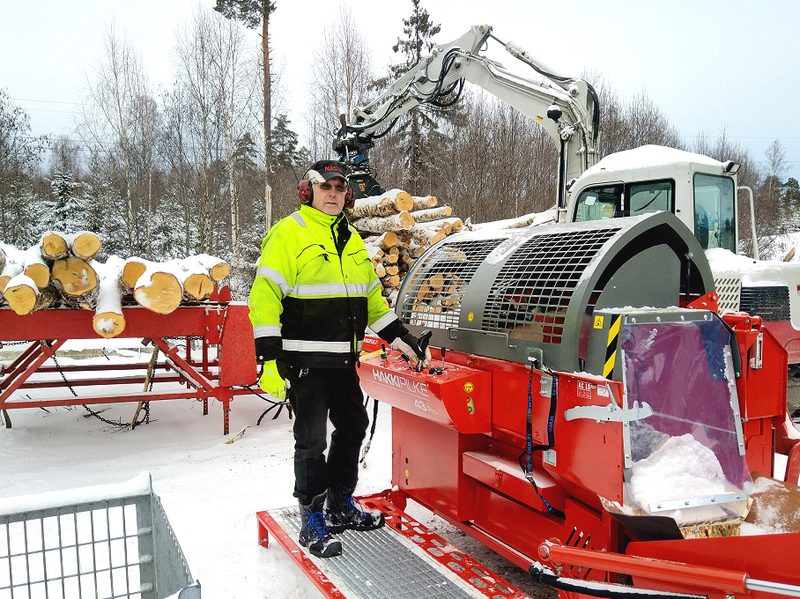 They bought their Hakki Pilke Falcon 35 firewood processor at the beginning of 2017 and it has been in heavy use for nearly two years. 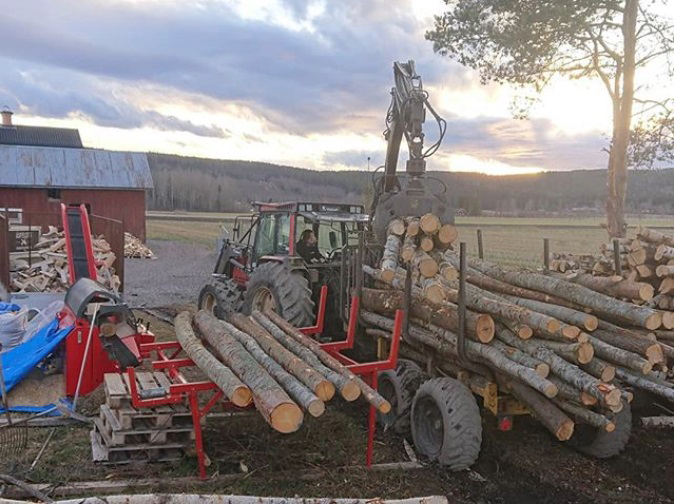 The owner thinks that Falcon is clearly the best firewood processor together with Valmet 6200 tractor and forest trailer. Congratulations for winning and we wish very successful year to their family! The User of the Month competition continues in 2019. 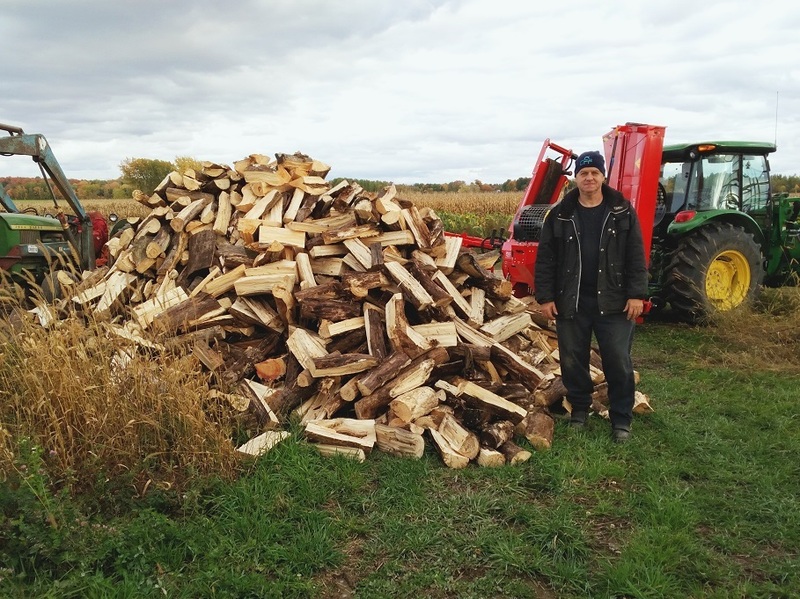 Send a picture of your own Hakki Pilke firewood processor with your story to our Facebook or Instagram inbox and you can be the next winner of Hakki Pilke User of the Month! We would like to thank all our customers and partners for the past year. 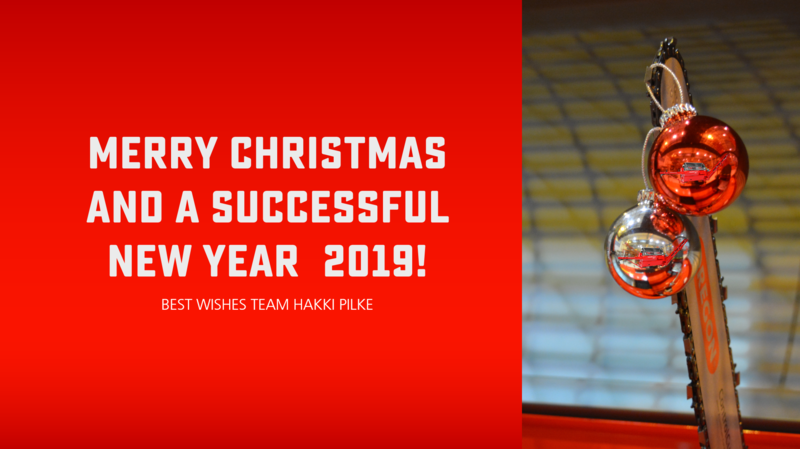 Team Hakki Pilke would like to wish you all a Merry Christmas and Happy New Year 2019! Due to the Christmas holidays our factory is closed from 22nd of December till 1st of January. Our customer service is open normally from 27th to 29th and 31st of December. The service is open exceptionally only until 11am on 21st of December. Hakki Pilke user of the month in November is Miklós Pozojevich from Hungary. His business Tűzifavásár bought a new Hakki Pilke 38 Pro this year for producing quality firewood from hardwoods. 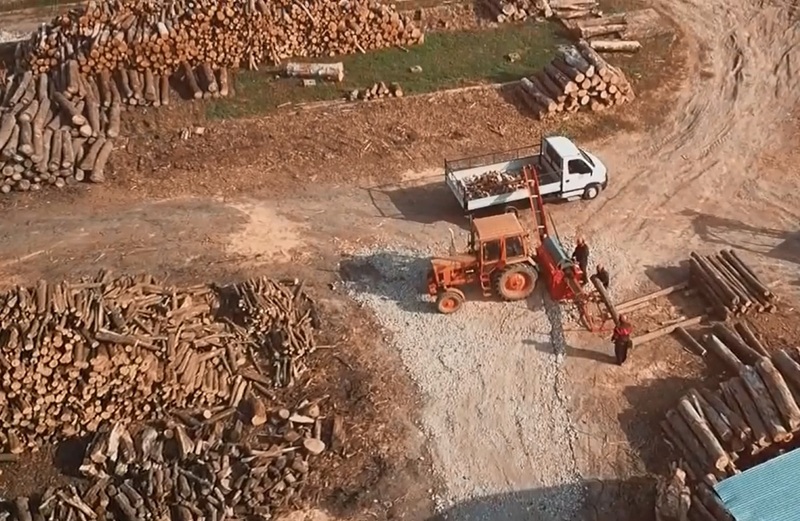 Firewood processor filmed how easy and fast working is! Thanks to the cleaning outfeed conveyor, the firewood is processed directly to the customer's truck load without any extra debris. Congratulations Miklós for winning an authentic Hakki Pilke jacket and thank you for the amazing video!